This DVD contains a lecture detailing the rites of Hajj and explaining the practical means of fulfilling them. The lecture was delivered by Imam Tahir Anwar at the South Bay Islamic Association in San Jose, California, during the summer of 2006, and the video and photos are from the Hajj in December 2006. It includes the prerequisites, visiting Makkah and Madinah, and is a very useful and step-by-step guide to performing Hajj. It also includes a slide presentation and video footage from Makkah, Madinah, and the days of Hajj: Mina, Arafat, Muzdalifah, Jamaraat, and much more. 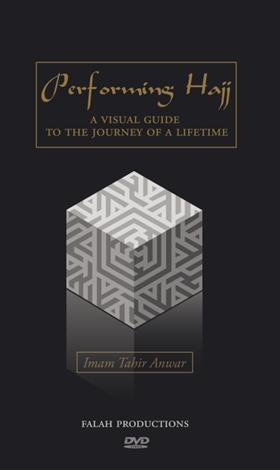 The DVD also includes a demonstration of how to wear the Ihram, which duas to say at various stages, and items to bring with you during this once-in-a-lifetime journey. A 3D tour the Kaaba provides a visual reference for important landmarks. I thoroughly enjoyed reading your article. Thanks!